Experience the vibrant culture of Mexico with your very own timeshare resale at Westin Resort & Spa Puerto Vallarta. Set on 14-acres of lush landscaping, Westin Resort & Spa Puerto Vallarta provides the ideal opportunity for you to sit back, relax, and enjoy everything that the Mexican Riviera has to offer. 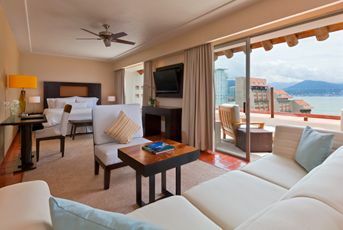 Westin Resort & Spa Puerto Vallarta provides the ideal backdrop for your vacation getaway, with deluxe guest rooms and sweeping suite accommodations. Choose from a Puerto Vallarta timeshare for sale equipped with all the makings of a true vacation home, including Wi-Fi access, oversized soaking tub, and furnished, private balcony or patio with Jacuzzi tub. Larger timeshare suites include expansive kitchen, dining, and living areas, as well as complimentary Club Lounge access with daily breakfast and cocktails. Pamper yourself with resort amenities aimed to relax and entertain. These Puerto Vallarta timeshares for sale include unlimited access to all resort amenities. Make complete use of the resort’s private beach area with pergolas, and two swimming pools. Schedule a relaxing treatment at the salon and spa, perfect for relaxing after a workout at WestinWORKOUT. The resort also offers kids activities, tennis courts, and a nearby golf course. Westin Resort & Spa Puerto Vallarta also provides four on-site dining locations, including Mexican fare at El Palmar Restaurant and decadent meals at Arrecifes Seafood & Steakhouse. As a beachfront resort, this fabulous resort puts you in the heart of Mexico’s most beautiful beaches. Enjoy water-based activities such as swimming, snorkeling, and boating. For those interested in a more adventurous experience, take a trip into the jungle amidst the mountainous terrain overlooking the town and the Banderas Bay region. The jungle of the Sierra Madre is home to over 350 species of birds as well as monkeys, iguanas and other wildlife that you probably won’t find at home. 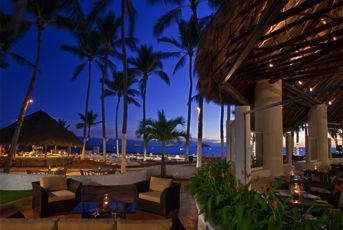 Contact Westin Resort & Spa Puerto Vallarta Specialist Today! Days: / Time: 3:00 P.M.